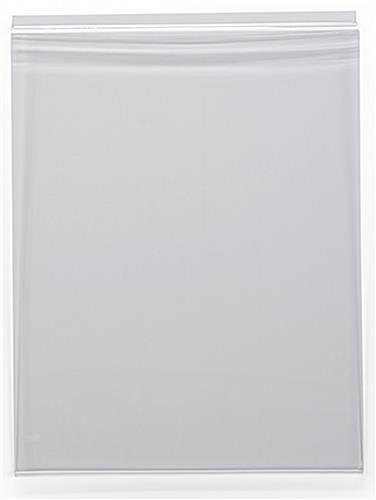 This slatwall sign holder can be easily attached to most slatwall panels. 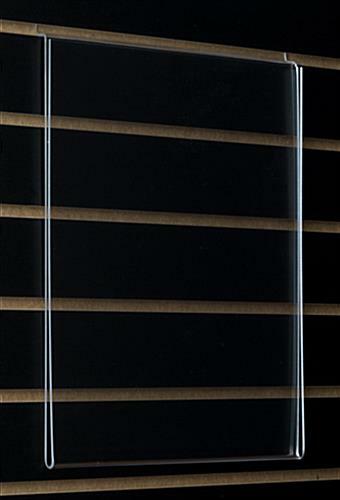 There is no need to have any addtional mounting hardware, you can just simply attach. It can hold any 11" wide by 14" high materials. 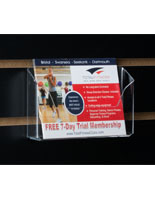 This slatwall sign holder is made of durable acrylic and is ideal to accentuate your sign. 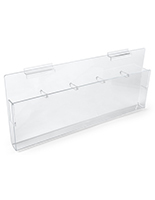 It can hold posters, pictures, prints and advertisments. 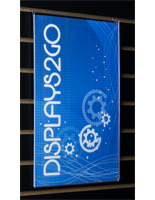 It is a great way for your company to inform customers. 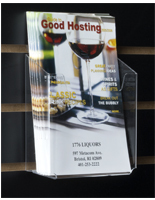 You can use this slatwall sign holder with our other products to be even more informative. 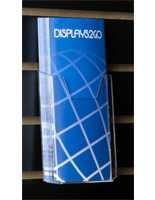 This slatwall sign holder is a necessity in any retail environment. In today's retail environment, customers want to know the facts about the products they are buying. 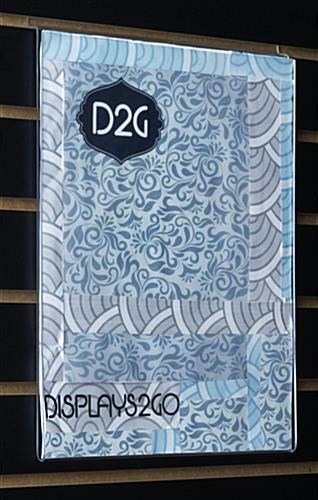 This slatwall sign holder does it all! 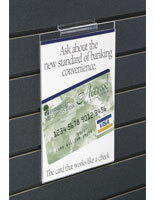 This poster frame, slat wall accessory can be used to communicate information or to advertise new products. 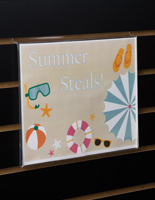 This 11"wide x 14"high slatwall sign holder is suitable for most standard slotwall panels without having to use any adhesives, glues, or hardware. 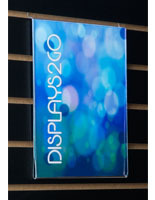 Our poster frames were designed with convenience in mind by allowing you to make a custom sign. Just print a landscape sheet, cut it in half and display your work of art!